(Photo by Kirk Tuck) ZACH Theatre presents Austin’s first professional theatre staging of international musical theatre sensation Les Misérables as the opening production of the 2013-14 season, the second season in the new Topfer Theatre. 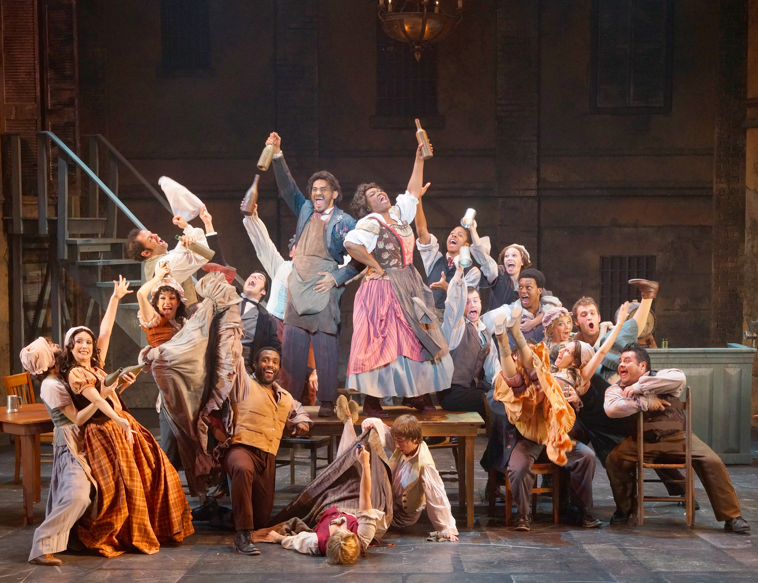 The world’s longest running musical, so far it has been seen by more than 65 million people in 42 countries. Now that’s a success. Of course, Les Misérables is based on the novel of the same name by French poet and playwright Victor Hugo. Set in early 19th-century France, it is the story of Jean Valjean, a French peasant of abnormal strength and potentially violent nature, and his quest for redemption after serving 19 years in jail for having stolen a loaf of bread for his starving sister's child. Valjean breaks his parole and starts life anew after a kindly bishop inspires him, but he is relentlessly pursued by the policeman Javert for breaking his parole, and must leave his past behind and keep his vow to raise the young orphaned Cosette. Along the way, Valjean and a slew of characters are swept into a revolutionary period in France, where a group of young idealists make their last stand at a street barricade. The musical was originally conceived and produced in France, before its English-language adaptation, which opened at the Barbican Centre in London in 1985, launching what has become a global phenomenon. ZACH’s new Topfer Theatre, 202 South Lamar Blvd. Performances: Wednesday-Saturday at 7:30 p.m., Sunday at 2:30 p.m.